RADIO partners met at the 5th FHAG Pilot Preparation and the 4th Technical meeting in Valencia, Spain from 4 - 6 October 2017. The meeting was hosted in the premises of partner Robotnik. 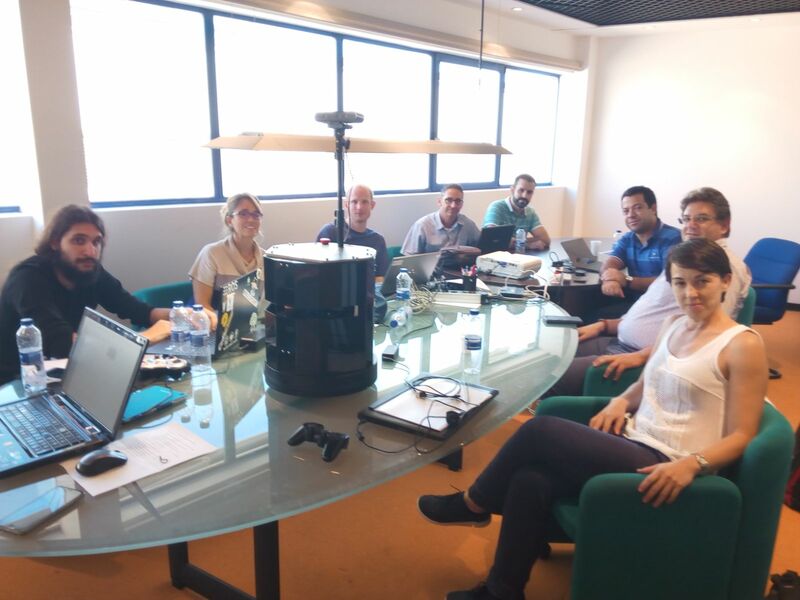 Technical and clinical partners met to exchange experiences of the ongoing pilot that takes place in the General Hospital of Granollers, Spain and report progress on the technical developments. NCSR Demokritos and Robotnik worked together on the deployment and testing of the final robot prototype focusing on navigation and connectivity issues. 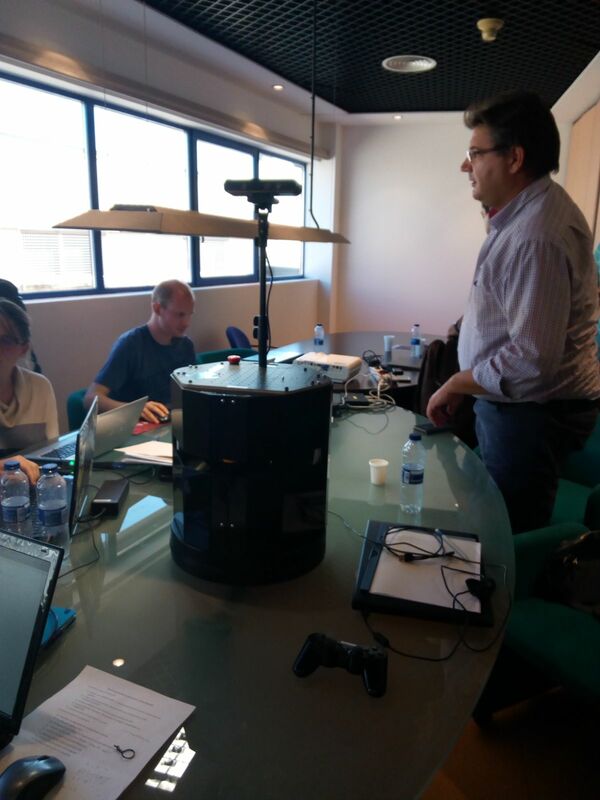 The technical partners together looked into autonomous behaviours and system orchestration, BLE localisation and Cross-WSN fusion test cases. Merce Ratera from the General Hospital of Granollers presented and discussed the system operation and pilot execution problems encountered during the first round of their pilot study. Dr. Nikolaos Voros from TEI of Western Greece presented the changes to the technical solution from the perspective of the system operator, the caregiver and all partners together discussed the piloting plan.